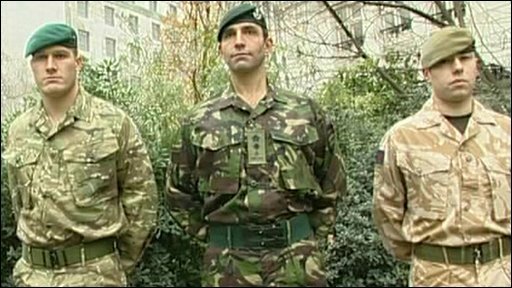 Lieutenant Colonel Toby Evans explains the thinking behind Multi-Terrain Pattern, the Army's new camouflage uniform, pictured left. The uniform of the British Army is to be changed for the first time in almost 40 years. The new Multi-Terrain Pattern (MTP) will replace the traditional four colour woodland uniform known as No.8: Disruptive Pattern Material (DPM). Forces in Afghanistan will start to get the new uniforms in March next year, with the whole army upgraded by 2011. MTP is designed for a wide range of environments, including the volatile "green zone" of Helmand province. British troops in Afghanistan currently use a mix of desert camouflage and temperate DPM, depending on which area they are operating in. There are three main types of terrain in Helmand - desert, the agricultural "green zone" either side of the Helmand river, and residential areas with dusty buildings and mud huts. One soldier said that the mix-and-match was far from ideal and made units stand out, especially in the "green zone". Lt Col Toby Evans - a military advisor with the Government's Defence Science and Technology Laboratory - told the BBC the new uniform was a compromise between having a uniform that was perfectly suited to a specific environments and one that would work well across a wide range of conditions. 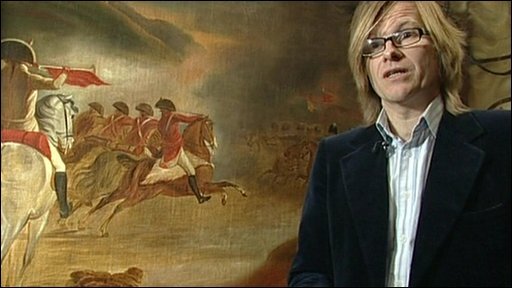 "We've realised that Afghanistan is more complex - especially Helmand - than, say Iraq, which was predominantly a desert background or north-west Europe, which was predominantly green," he said. "The new camouflage is optimised for all the Afghan background colour sets and in doing so we never reach a point - which we did with the old colours - where it is actually wrong. "It may not be quite perfect, but its good enough for everything," he added. Corporal Adrian Gibbs, from The Grenadier Guards, told BBC News his first impressions of seeing the new MTP uniform. "I think it's good - when you see it compared to the green and desert DPM I think it will work well both on tour and within the UK itself. "This new uniform will make it harder for us to be seen and so much easier for us to do our job." The MoD say the dark green DPM uniforms will slowly be phased out and replaced by MTP. However the current No.5: Desert combat dress will remain in service and be used along side the Multi-Terrain Pattern.